The best choice for residential and commercial roofing in the Greater St Louis, Missouri area is Daech & Bauer Roofing Co. With more than 40 years of experience, we’re a trusted provider of residential and commercial roof installation and we are proud to have completed more than 10,000 projects and counting. Our staff is committed to making sure that every customer is satisfied with the work we perform, and our passion for roofing is demonstrated by the personalized service we provide. In recognition of our expertise and commitment to staying on the cutting edge of roofing repair and roof replacement, we were named a Top 100 Roofing Contractor in the U.S. by Roofing Contractor magazine. No matter how skilled and experienced roofing contractors are, the products they use will have a large effect on the outcome of a project. That’s why Daech & Bauer Roofing only uses materials from the most respected manufacturers in the industry, such as Owens Corning. As an Owens Corning Preferred Contractor, we take pride in helping our residential roof repair customers to implement Owens Corning’s Total Protection Roofing System® for their homes. This includes an integrated system of components that help roofs to perform by creating a waterproof barrier, protecting against the elements, and allowing for improved ventilation. Our licensed and trained roof technicians are skilled in the installation of all types of roofing products. 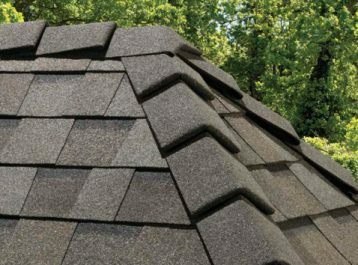 For residential customers this includes energy-efficient shingles, metal, tile, cedar shake, and slate, while commercial roofing options include TPO, EPDM, PVC, shingles, metal, spray polyurethane, and modified bitumen. Whichever materials you choose for your roof, you can count on Daech & Bauer Roofing to provide you with one of the best deals in the Greater St Louis, MO, area. That’s because we provide an “apples to apples” guarantee, which states that we will match the price of any local company that underbids us for the same roof replacement work. 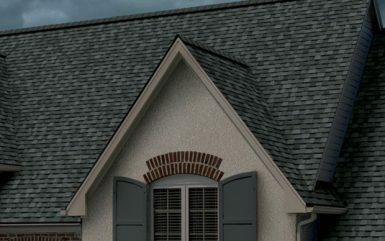 For residential and commercial roofing customers in the St Louis, MO, region who want a roof that performs at an optimal level year-round, Daech & Bauer Roofing offers additional components that are important to a roof’s overall life expectancy, such as ridge vents, roof ventilation systems, gutters, and blown-in insulation. Each of these elements are vital in ensuring a roof repair or roof installation project is as efficient as possible, as they play an important role in keeping moisture out and maintaining a comfortable temperature in your home or building, which can also help reduce heating and cooling costs by lessening the burden on your HVAC system. At Daech & Bauer Roofing, we back up our work with no-nonsense written labor and materials warranties, so you know your investment will be protected. We also offer emergency service 24 hours a day, seven days a week, so you will never be stuck with a leaky roof. If you would like to learn more about the comprehensive residential and commercial roofing repair and roof installation services that we provide in St Louis, MO, and throughout the surrounding communities, contact us today. Be sure to ask about financing options available for those who qualify.